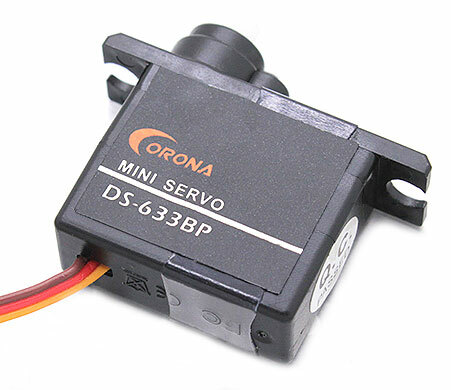 Fantastic little micro servos at a reasonable price of $6.68. This would be a great fit for the FireFly due to its low weight of 6.2 grams and torque of .82kg.cm on a single cell lip battery 4.8v. The speed of the servo at .12sec travel to 60 degrees is great for slope gliding and gentle flying. For a more aerobatic maneuvers, a faster servo might be needed.